Can Scientific Belief Go Too Far? : 13.7: Cosmos And Culture Can scientists have too much faith, insisting that an idea is right despite contrary evidence? Commentator Marcelo Gleiser says yes, which could pay off in the end — or be a colossal waste of time. Last week, our own Tania Lombrozo ignited an intense discussion of the differences between factual and religious belief. I want to take off from there and examine a no less controversial issue, one that has been in the limelight of cutting-edge physics for the past few years: Do some scientists hold on to a belief longer than they should? Or, more provocatively phrased, when does a scientific belief become an article of faith? To talk about faith in the context of science seems quite blasphemous. Isn't science the antithesis of faith, given that it is supposedly based on certainties, on the explicit verification of hypotheses? This vision of science as being perfectly logical and rational is an idealization. Of course, the product of scientific research must be something concrete: Hypotheses must be either confirmed or refuted, and data from experiments should be repeatable by others. Penicillin does cure diseases, airplanes fly and Halley's comet does come back every 76 years. Things become more tentative at the cutting edge, where there are no certainties. What makes science so fascinating is that it aims at perfection even if it is the invention of fallible beings. It is this tension that moves our creativity forward. Let me illustrate with a historical example. Early in the 20th century, physics was in a major crisis. A series of experiments demonstrated that the theories at hand, based on the mechanics of Isaac Newton and on the electromagnetism of Michael Faraday and James Clerk Maxwell, failed to describe the properties of atomic matter. In the world of the very small — the world of quantum physics — reality seemed to play by a different set of rules. Scientists were forced to revise their worldview in radical ways. In the classical world, the one we see around us, nature made sense — events following a nice chain of cause and effect — what we call determinism. In the quantum world, this certainty had to be placed aside: The properties of matter, of electrons in atoms, for example, had to be described by probabilities. However, Albert Einstein, Max Planck, Erwin Schrödinger and other great scientists involved in developing the theory refused to accept its apparent randomness as final. They believed that, deep down, nature had to follow simple causal rules, that determinism would triumph in the end. There is, however, an essential difference between religious faith and scientific faith: dogma. In science, dogma is untenable. Sooner or later, even the deepest ingrained ideas — if proven wrong — must collapse under the weight of evidence. A scientist who holds on to an incorrect theory or hypothesis makes for a sad figure. In religion, given that evidence is either elusive or irrelevant, faith is always viable. Bringing things to the present, we are currently going through a curious moment in high-energy physics, where some very popular theories may not be testable. This means that we can't determine whether they are wrong, which flies in the face of what science is about. Like a zombie that never dies, it's possible to come up with theories that can always be redefined to escape the reach of current experiments. Case in point: supersymmetry, a hypothetical theory where each particle of matter (electrons, quarks) gains a supersymmetric partner. 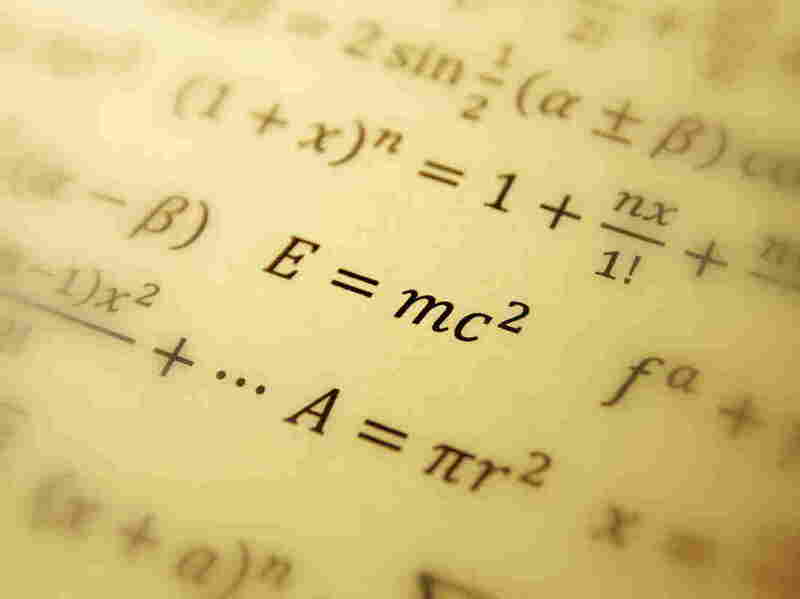 The theory effectively doubles the number of fundamental particles of matter. Proposed in the early 1970s, so far no supersymmetric particle has been found. Hopes were high when the Large Hadron Collider in Switzerland was turned on a few years back. They found the Higgs boson, but so far no signs of supersymmetry. We wrote about this in April, inspired by an article by physicists Joseph Lykken, from Fermi National Accelerator Laboratory, and Maria Spiropulu, from the California Institute of Technology. Some practitioners are disheartened, but others are confident that this will change next year, when the collider will run with twice the energy. If supersymmetric particles are found then, great: We will enter a new epoch of high-energy physics. But what if they aren't? My prediction is that there will be a split in the community. While some will abandon the theory for lack of experimental support, others will hold on to it, readjusting the parameters so that supersymmetry becomes viable at energies well beyond our reach. The theory will then be untestable for the foreseeable future, maybe indefinitely. Belief in supersymmetry will then be an article of faith. How should we deal with this kind of situation in science? Clearly, scientists will do what they want (as long as they have funding for it); those who cling to supersymmetry will argue that it will drive them toward other hypotheses and that's OK. Maybe something will come up that will be testable. Others will search for explanations elsewhere. The challenge, of course, is that we don't know the right answer. The worry is that we may never know it, in which case the program is scientifically useless. When you invest decades of your professional life in the pursuit of an idea, it's real hard to let go. Some never do.